Q. Is windshield repair covered by my insurance company? Q. Which insurance companies do you work with? A. We work with every auto insurance company in the country. They like us because we accommodate each of their individually determined rates and we install only quality auto glass backed by our lifetime warranty. Q. Will I have to file a bunch of paperwork with my insurance company? A. No, we take care of the hassle involved with insurance claims so you don’t have to. 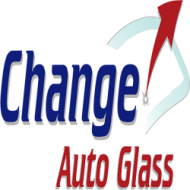 At Change Auto Glass, we’ll do all required paperwork to bill your insurance company directly. All you need to do is pay the amount of your deductible (if you have one), we also offer $50 discount. * Payment process may be done over the phone or in person using debit/credit card, cash or company checks. Q. Will my insurance rates go up if I file an auto glass claim? A. Not at all. A cracked windshield doesn’t reflect your driving ability. Auto glass replacement falls under the comprehensive portion of your insurance rather than the collision category, so you can get a new windshield and your insurance premiums will stay the same. Q. I see you have a great online discount rate. Can I get that rate even if I place my order over the phone? A. Yes! To qualify for the discount, simply call our Change Auto Glass online division by phone at 800-Change Auto Glass, and mention the online discount rate. Q. Where do I need to take my car and how much time should I allow for windshield replacement? A. You don’t have to go anywhere. We will come out to you; at your home, at your work, where ever you are. The whole process shouldn’t take more than an hour, though we highly recommend that you don’t drive for 2-3 hours after the installation so that the urethane seal will have plenty of time to cure. Your technician will give you an estimated drive-away time based on weather conditions and materials used. Q. Do I need to be there while you replace my glass? A. No, you can go about your daily activity. All our capable technicians need is to have your vehicle unlocked when they arrive. Q. What if it’s raining or snowing on the day of my appointment? A. A little rain or snow won’t slow Change Auto Glass down as long as there’s a carport, garage or other suitable shelter on site. Otherwise, we’ll gladly reschedule your appointment for another time. Q. So, what about quality? I don’t want to have to replace my windshield again. technicians are some of the best in the industry. Q. I need my side-door glass replaced. Am I on the wrong website? A. We can usually have a Change Auto Glass expert to your location in 1-2 days, depending on your availability. Q. Wow! Is there anything Change Auto Glass doesn’t do? A. Sadly, yes. At this time, we are unable to provide window tinting. But, being a responsive, caring company, we at Change Auto Glass are always adding new products and services in an effort to take better care of your auto glass needs. Look for this and other services in the near future.